Benson Police have released images from a video surveillance camera that captured several people stealing a golf cart in hopes someone might recognize the suspects or vehicles they were operating. Around 3:30am last Tuesday, July 28th an orange Club Car golf cart was stolen from a home in the 300 block of South Dunn Street, according to Police Captain Greg Percy. 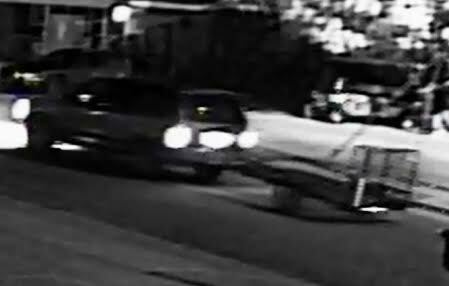 Video footage shows several black males pushing the golf cart from the owner’s yard to East Brocklyn Street, where it was loaded onto a utility trailer being pulled by an older model Ford Explorer. The vehicle then shows three of the suspects getting into an older model Ford Taurus and following the Explorer as it leaves the area. Anyone with information about the theft is asked to contact the Benson Police Department at 919-894-2091 or by email at crimeline@bensonpd.org.